I am Grant Schofield, Professor of Public Health (Auckland University of Technology) and director of the university’s Human Potential Centre (HPC) located at the Millennium Campus in Auckland, New Zealand. My research and teaching interests are in wellbeing and chronic disease prevention especially reducing the risk and eventual mortality and morbidity from obesity, cardiovascular disease, and diabetes. I live by the motto “be the best you can be” and have a strong commitment to peak performance in which I also do consulting work. 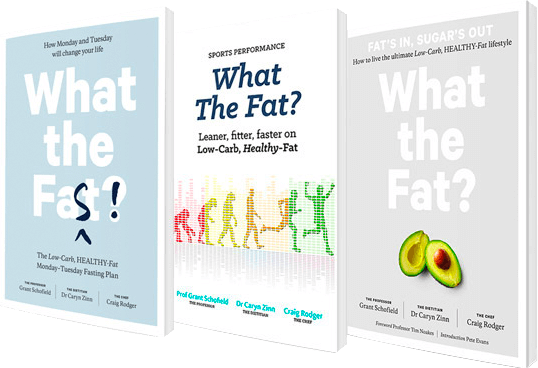 Take a look at our series of cutting-edge science on fat & fasting. Our latest book is a cookbook that you will definitely want to get your hands on. PreKure is a social enterprise that exists to inspire the medical profession to become more focused on disease prevention. PreKure’s vision is to make prescribing lifestyle medicine as easy as prescribing pills. Together we can change medicine. Prevention is cure. Lifestyle is medicine. Science in a minute: Which diets work for who? - SCIENCE IN A MINUTE: @Caryn Zinn Nutrition reviews the latest Lifestyle Medicine research released two weeks ago in the British Medical Journal (BMJ) on weight-loss maintenance. Which diet works best for maintaining weight loss? Find out… #foodismedicine Follow our science in a minute series at Prekure.com Click here to see the full paper.